This is the time of year when I make something special for the people nearest and dearest. I absolutely refuse to participate in the consumer frenzy, and so would rather devote my time in the peaceful pursuit of something meaningful. 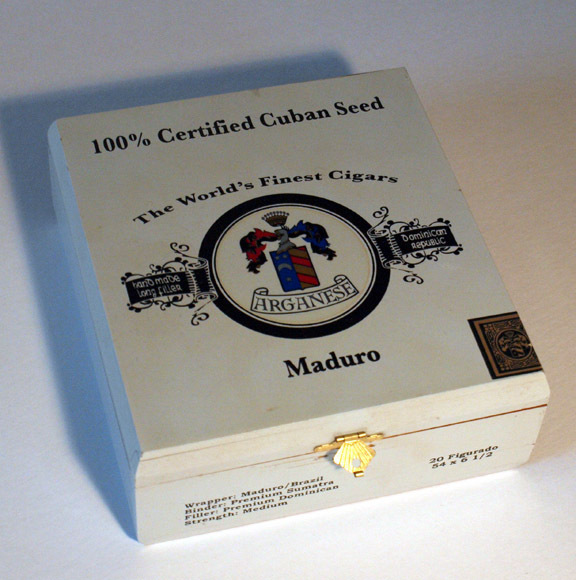 For a while now, I've been reclaiming cigar boxes and building environments within. My only rule is that it must be constructed entirely of watercolor on handmade paper (toothpicks for support). 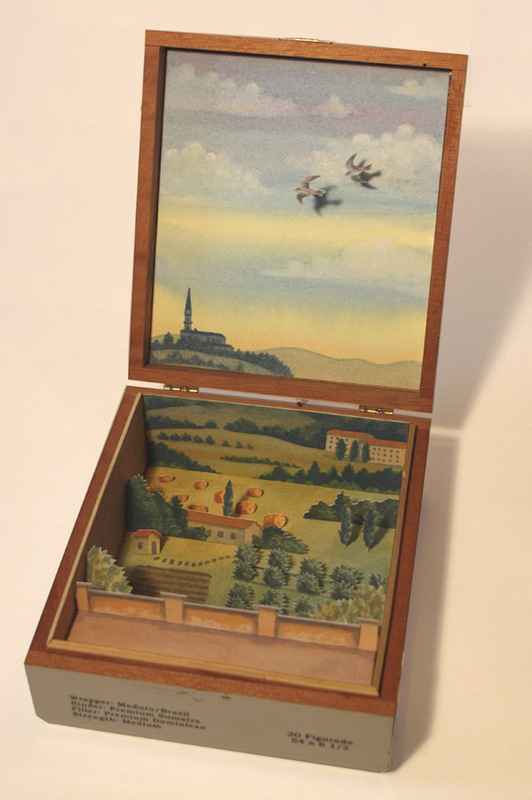 This box, #4 in a series, was made for my daughter who spent a semester in Tuscanny last year, and fell completely in love with the region. She described the particular light as a day was coming to a close, and the pastoral views of the countryside from her veranda. Luckily, she'd sent me a photo that I saved, from the vantage point of the balcony, which I recreated with a little artistic liscence. Handmade Christmas presents are the best. I echo your sentiments. Very nice! Great depiction of Tuscany, David, I lived there for years and loved it, you're spot-on with this. Beautiful on all levels, David. Gorgeous. What a unique and wonderful gift. Thanks to all for your generous comments! How can I get on this gift list? Wow, David. Really beautiful David, something to treasure. Thank you... the end goal was to capture a memory and as it turned out, my daughter was overwhelmed with emotion. Next box. That is so beautiful.Thank you for sharing.